Three of the four members – April, Phil and Deborah -- are children of Bishop Gilbert Thompson, founder of Boston’s Jubilee Christian Church. Wil Bullock, Deborah’s husband, is the fourth. 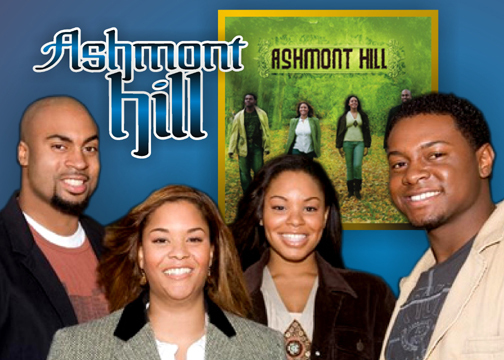 Their first album, “Ashmont Hill,” on Axiom Records – “it means ‘where truth is evident’” – debuted earlier this year just as their tour with Natalie Grant was ending. “We’re really blessed. People have latched onto the album,” says April. 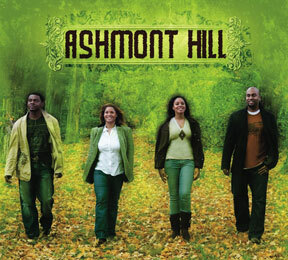 It made number 10 on the Gospel charts and number 16 on the Christian Contemporary Music charts. Like many Christian artists, April and her family extend their devotion to everything they do. April is a minister of music at Jubilee, where she conducts the choir and mentors young women. Wil works as a farmer, taking inner-city kids out to the farm every day, teaching them to grow food, and then they get to sell it. 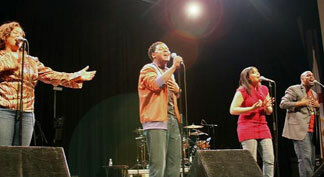 They are also WorldVision artists, at concerts signing up people to sponsor children and other relief efforts. 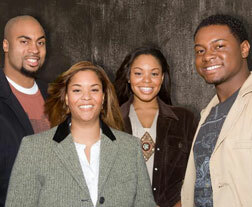 Though April names a variety of Gospel artists such as The Winans, Commissioned, Fred Hammond and many others as musical inspirations, it is clear that the true spiritual inspiration for this close-knit devoted family group is the father, Bishop Thompson.